Anytime money changes hands, the government may be interested in getting a cut. When you think about paying taxes, the first thing that probably comes to mind is filing your tax return in April (or earlier, for the well-organized). But you also pay taxes in myriad other ways. When you buy goods or services, you pay sales tax to your state (unless you live in one of the five states that don’t levy a sales tax). If you sell investments at a profit, you may owe taxes on your gains. If you own property, you pay a tax based on the value of your property. And, of course, by the time your paycheck arrives on your desk, your employer has already carved out a chunk of your pay to go toward your income tax. 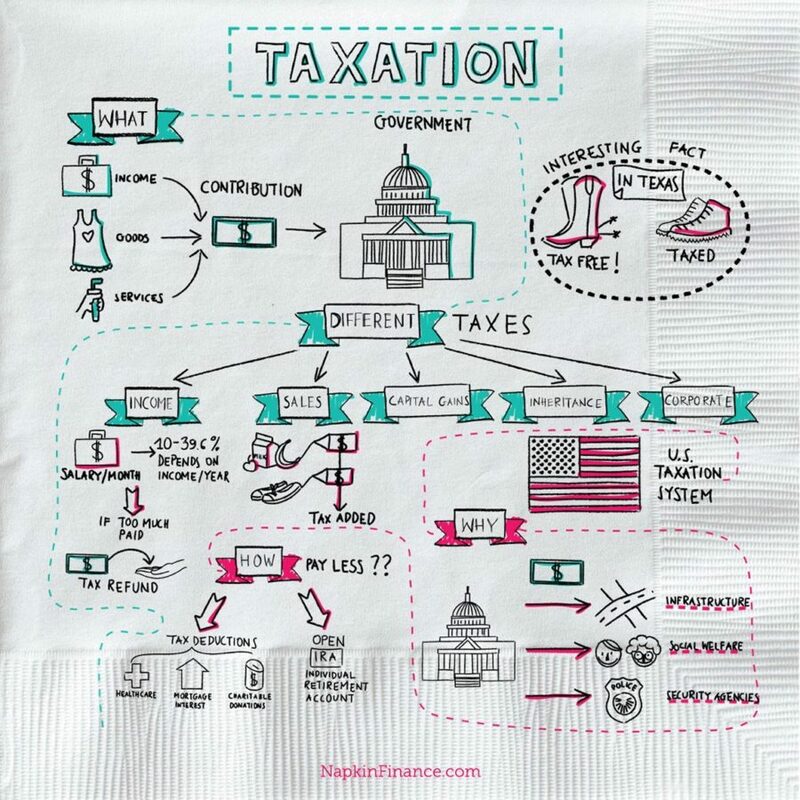 Federal income tax goes to the U.S. federal government and pays for everything, from the U.S. military system to federal science programs to interest payments on the national debt. FICA taxes are also federal taxes assessed on your income but only fund two specific programs: Social Security and Medicare. State sales taxes and state income taxes are used to pay for public schools, Medicaid, state transportation systems, and state prisons. Localities, such as counties and towns, use property taxes to pay for local public services, such as public schools, fire and police departments, and road maintenance. Some 21% of tax returns filed on paper contain errors, but only 0.5% of electronically filed returns do. Other countries have it better. The U.K., Germany, Japan, and Russia are among the 36 countries that don’t require citizens to file tax returns (the government does all the work itself). The U.S. income tax system essentially works this way: At the end of the year, you tally up all the money you received during the year. Then, the government lets you either subtract (or deduct) a certain amount of that income before calculating what you owe or directly offset (or credit) some of the taxes you would otherwise owe. You can’t avoid taxes, but you can ensure you don’t pay more than you have to by carefully tracking any potential deductions and credits through the year. One commonly missed deduction is the child and dependent care credit, which allows parents to claim a credit for a portion of childcare expenses. Another is the state and local tax deduction, which can be used to deduct state income and sales taxes, and starting in 2018 will be capped at $10,000.